Sometimes I see something that just warms my feet, or is that my heart? Either way a few days ago I came across these photos over at UniWatchblog.com. 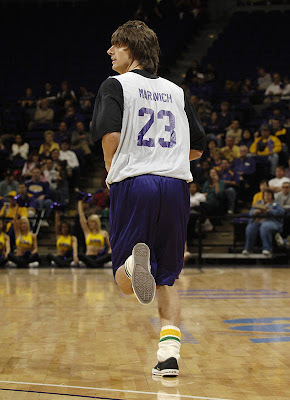 This would be Josh Maravich, son of the legend Pistol Pete Maravich. 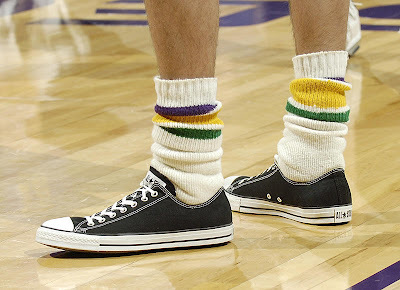 He recently played in a LSU alumni game and decided to rock his Father's floppy socks with some Chucks. You just really have to love everything about this. 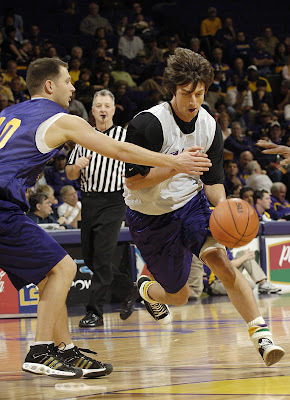 Thanks to to fine people over at LSU's website you can view a photo gallery of the event. However, they took it to another level and posted the entire game online, you can find the video and photo gallery here. Thanks for stopping in for a visit here at The Converse Blog.